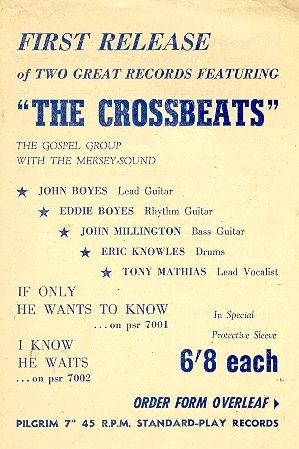 The crossBeaTs first singles were both recorded on17 September (backing) and 19 November (words) 1965 in Hollick & Taylor Recording Studios, Grosvenor Road, Handsworth Wood, Birmingham (6 songs recorded - If Only, He Wants to Know, I Know, He Waits, and two others [which we can't remember]). The group had fought long and hard to get the use of a recording studio. 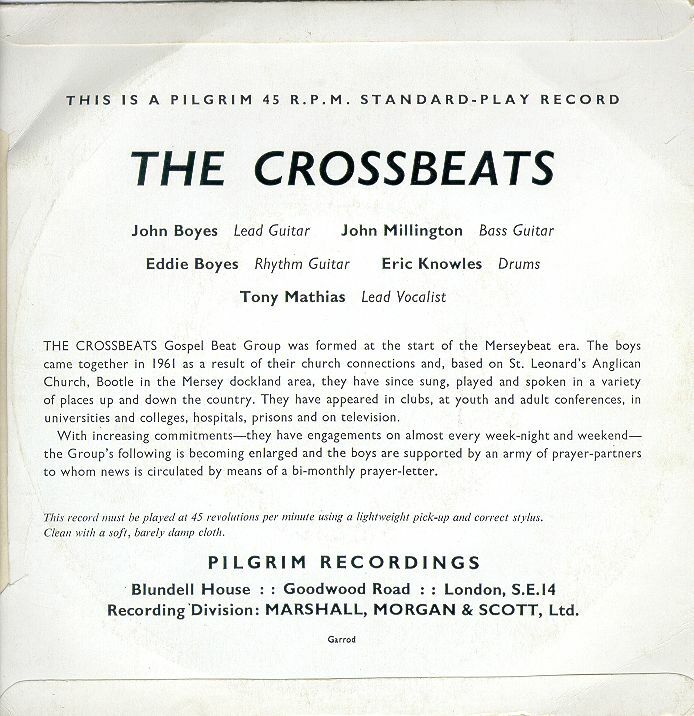 They had had many offers of recordings from different Christian labels, but all had assumed that a recording could be done by simply placing a microphone in front of the group in a church - what the Christian labels had been used to doing with choirs etc. We felt that it was something of a breakthrough to get Pilgrim to commit funds to booking a recording studio; this Birmingham studio was the one used to make the "Thunderbirds" soundtracks. We were disappointed to some extent, however, in that the sound was rather "tinny", and later recordings were done in the CBS studios in London. 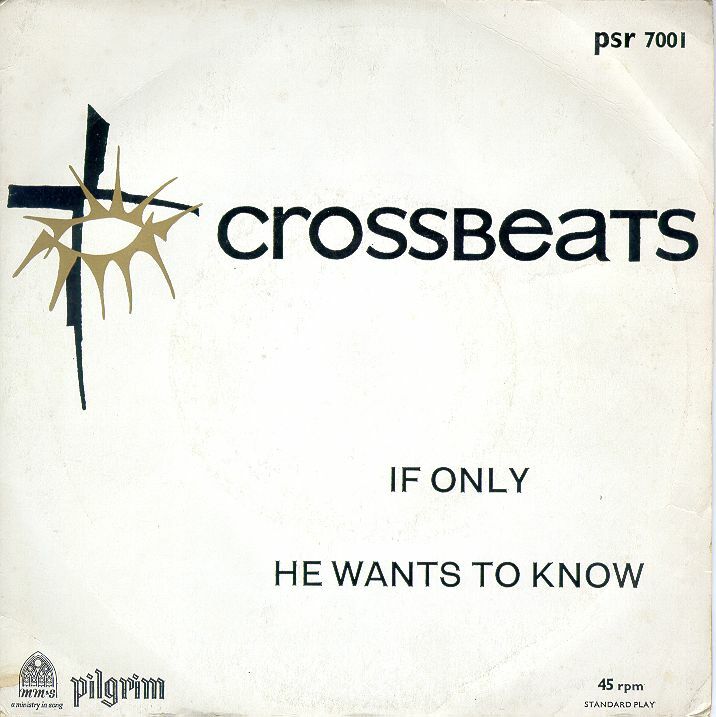 The singles "I Know/He Waits" (PSR 7002) and "If Only/He Wants to Know" (PSR 7001) came out in late 1965, early 1966. 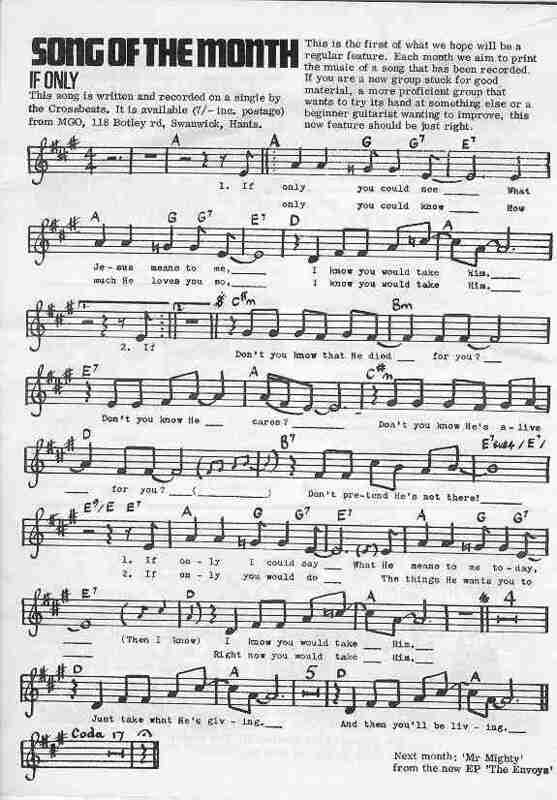 Below can be seen the single's cover, publicity flyer, a newspaper write-up and the sheet music of one song published in "Buzz" magazine. 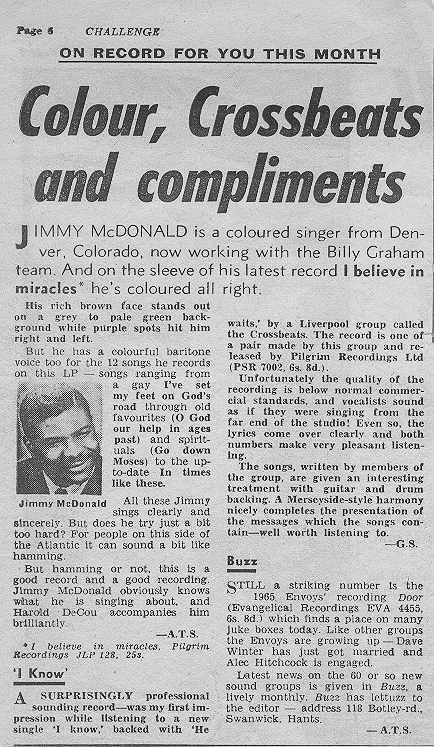 The details on the back of these singles was incorrect in that it said that the group had been together sionce 1961, whereas in fact the first booking we can remember was in January 1963.